Americans want log homes that capture a rustic feel but still have all the amenities of contemporary custom homes. 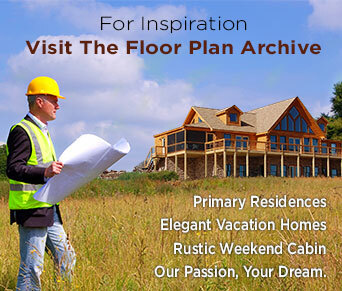 Only Blue Ridge Log Cabins matches the qualities of premium log homes with the economies of production home building. Providing authentic, solid log homes, through a fully factory-controlled process. We give you all the rustic, charming, down-home feel you expect from a log home, with the ease, efficiency, and speed that comes only with the modular building process. It’s a revolutionary way to build, and it’s why Blue Ridge Log Cabins is a leader in the log home industry. We’ve moved log home building away from the confusion and tedium of site-built “Log Home Kits” and away from the complications that arise from contractors who are not familiar with log home construction. Our approach is thorough, responsive, streamlined, cost-conscious, green, and simple. You will find, like hundreds of satisfied log home owners before you, that all paths lead you home to Blue Ridge Log Cabins. It’s because we build homes. Not kits. We know that dreams should last a lifetime, they shouldn’t take a lifetime. Where rugged meets refined. A log home is the essence of a much slower-paced more simple way of life. The whole lifestyle of log home living embodies an air of romance. Traditional log homes will inspire you and spark your imagination so you may create a home that portrays your love of family life – a home that will become our own legacy for new generations to enjoy. From rustic log cabins to elegant estate-like homes, you’ll find your perfect log cabin home for mountain or lakeside living among our many log home floor plans. A wide choice of styles and options is crucial to selecting a home or vacation retreat to meet your needs. Choose one of our predesigned log home floor plans or customize your own distinctive look that reflects their style and personality. Much of the charm and magic of building a log home is tailoring it to your lifestyle so let the building begin. To enlarge slide show click above.